I seem to have neglected the blog a bit recently. This is partly because of the party I had for Jasmyn last week, which took a lot of preparation. 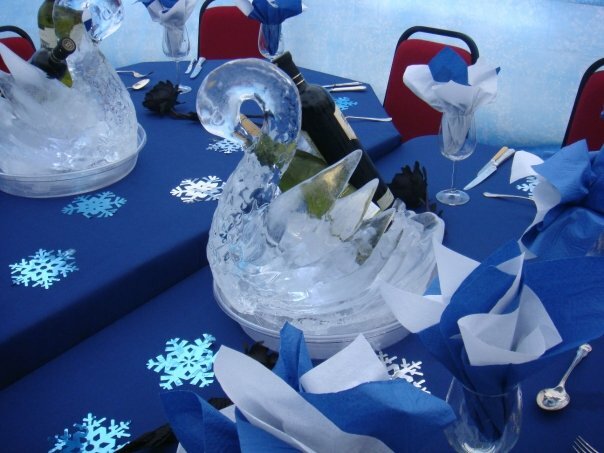 Those ice swans don’t carve themselves, you know . . . 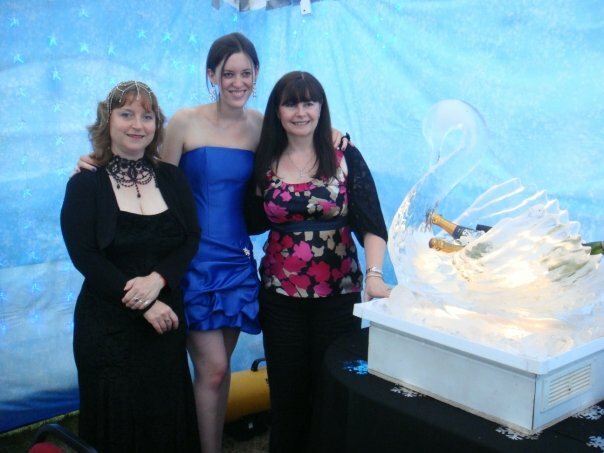 Here I am with the giant swan, stuffed full of champagne. The swan, that is. Not me. Not by that point anyway. 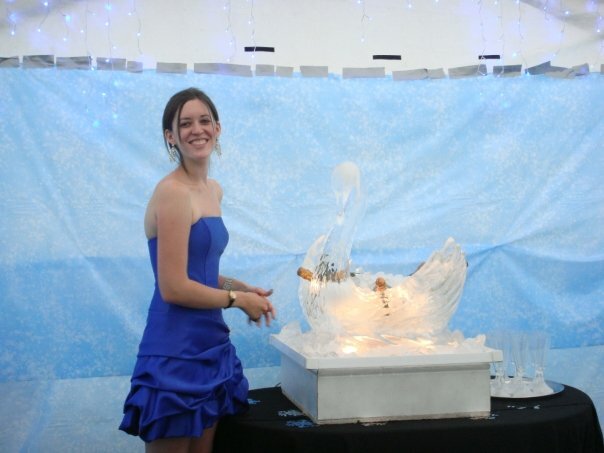 That swan weighed almost exactly the same as I do, which I found quite strange. Please note that, despite what this photo may suggest, I am not a freakishly tall person. It’s just that Jaine and Suzanne are both quite petite, and I was wearing heels. I dislike being called Gigantor to my face, and am likely to react unfavourably towards anybody who does so. Three hours. 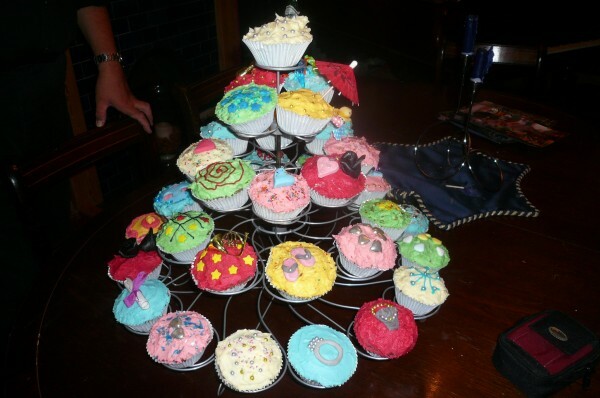 It took two people three hours to decorate the thirty eight cupcakes on that stand. They tasted good though – once I got over the fact that people were actually going to eat all our hard work. Jasmyn really suited itself to a themed party. When it went dark, all the twinkly lights in the marquee came on and made it look gorgeous. I think, from now on, whenever I go to start a new book, my first thought should be: will this make a good party later? It was a great evening. A great night, actually, as I didn’t go to bed until seven o clock the next morning. A sure sign of success in my book. Big thank yous to everyone who came and made it so much fun. It just wouldn’t have been the same sitting in the marquee and drinking bottle after bottle of champagne all by myself.